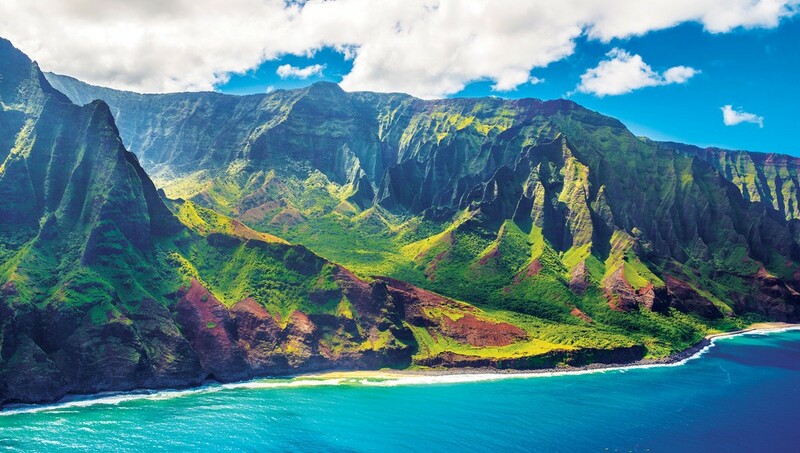 Hawaii has always been synonymous with fun in the sun; the name connotes postcard-worthy beaches, tropical rainforests, and active volcanoes. Visitors come from all over the world to experience an endless variety of natural wonders, and a growing number of culinary enthusiasts are lured to the middle of the Pacific in search of world-class cuisine prepared by some of America’s most talented chefs. Whether you’re seeking pricey tasting menus or humble, native Hawaiian treats, the Aloha State offers a dizzying array of options. Hawaii’s dining scene is commonly compared to the state’s signature lunchtime offering, the plate lunch. Similar to Japanese bento, a typical plate lunch combines an assortment of cuisine types – a portion of garlic shrimp here, a scoop of macaroni salad there, with some kimchi or ‘chow’ fun thrown in for good measure. Most plate lunches reflect the islands’ kaleidoscope of culinary influences; thanks to its central Pacific location and 19th-century labour migration, Hawaii’s food culture has always been strongly influenced by North American and Asian cultures. But any examination of the food here (that is to say, any reason to take your eyes off of some of the world’s most stunning natural scenery) should begin with a look at the indigenous Hawaiian culture and iconic Hawaiian dishes that continue to thrive in modern times. Ask any of Hawaii’s 1.4 million residents about their favourite foods and it’s likely you’ll hear about poke (raw chopped fish), loco moco (a hamburger patty topped with a fried egg and gravy), and poi (pounded taro root), to name a few. Traditional luau favourites such as kalua pork (traditionally cooked in an imu, an underground oven), and lomi salmon (raw salmon and tomato salad), remain popular as well. Immigrants have shaped and continue to contribute to the culinary scene; a scan of any classic Hawaiian menu will often include American, Chinese, Filipino, Korean, Japanese, Polynesian and Portuguese options. 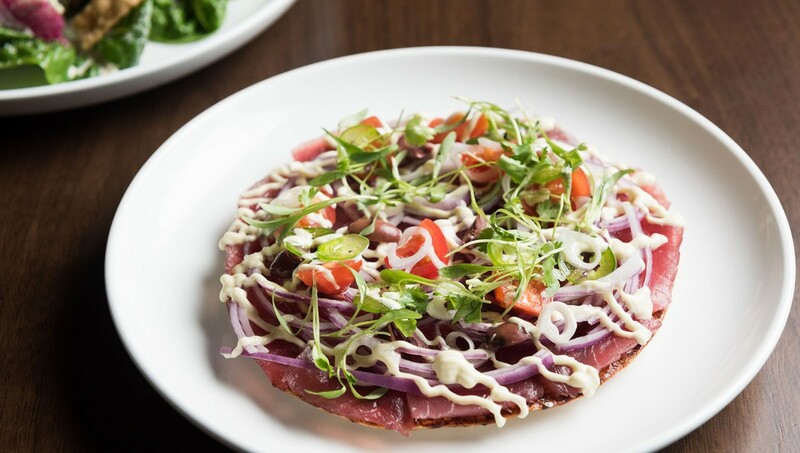 Compared to the original versions, these dishes often benefit from the simple fact that most chefs incorporate locally-sourced ingredients – prime beef from Hawaii Island (aka the Big Island), sweet Kauai prawns, flavourful Maui onions – whenever possible. In this regard, by combining international influences with native techniques and ingredients, Hawaiian food is sometimes billed as the original fusion cuisine. 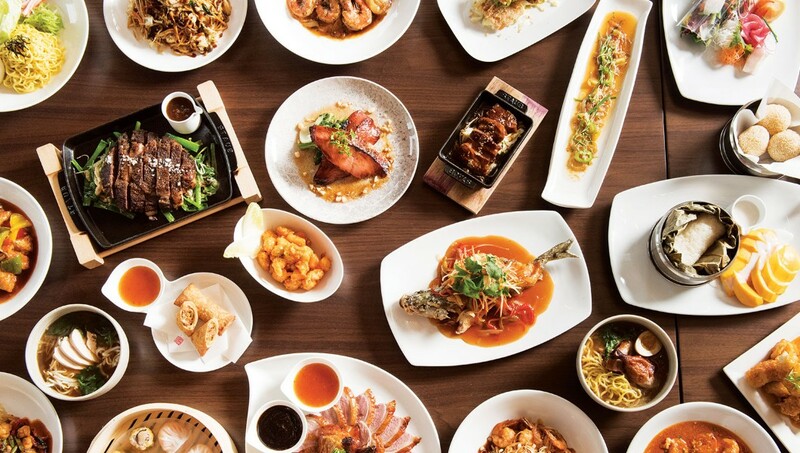 Hawaii’s contemporary dining scene can be traced back to 1991, when 12 chefs joined forces to establish the Hawaii Regional Cuisine (HRC) movement. Drawing from their roots in France, Japan and beyond, the chefs reflected the state’s “mixed plate” mentality and were well-equipped to take the fusion approach to another level, all while placing a focus on the islands’ incredible ingredients such as world-class seafood and produce grown in rich, volcanic soil. Among the movement’s founding chefs, several have seen their culinary empires expand to the mainland U.S. and far beyond, with most remaining active across the islands. Given their longstanding relationships with Hawaii, these chefs are uniquely positioned to explain what makes the destination such a captivating place to dine. “The food scene in Hawaii is alive and well, mostly due the increasing amount of talented chefs developing in our local culinary school system,” explains one of the original HRC chefs, Bev Gannon. “A new energy and exciting approach to cooking creatively, while using HRC’s melting pot of ingredients, has the menus in Hawaii reaching unprecedented levels of complexity and prominence.” Gannon currently oversees a pair of Maui restaurants: Gannon’s (www.gannonsrestaurant.com) boasts amazing views of the Pacific, while Hali’imaile General Store (www.hgsmaui.com) is perched near the island’s famed pineapple fields. A general store in name only, the restaurant is celebrating its 30th anniversary this year. “Hawaiian cuisine is unique because we have produce year-round and the ability to grow our own food,” notes another founding HRC chef, Peter Merriman. 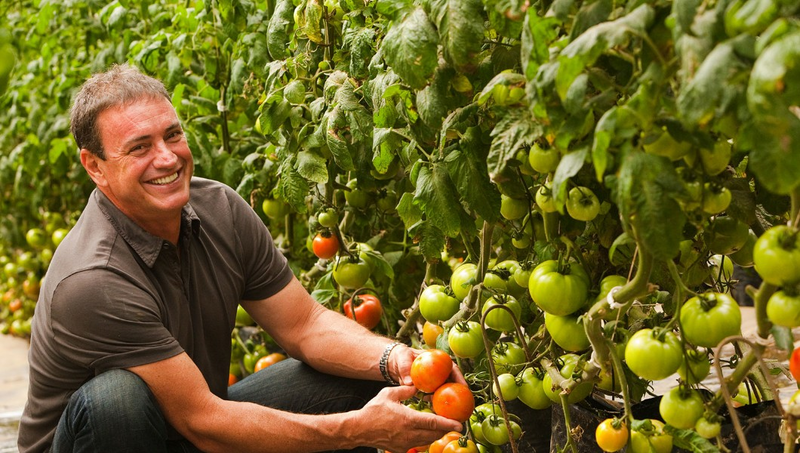 “The quality of the products is stellar and, as a result, we don’t have to do as much prep, yet the food tastes amazing. The tastes and influences from Hawaii are different and unlike any other in the world.” The original Merriman’s (www.merrimanshawaii.com) opened in 1998 on the Big Island, and the chef’s portfolio has grown to include two more namesake restaurants in Kauai and Maui, the latter of which hosts numerous private events and weddings due to its breath-taking perch on the Kapalua Coast. 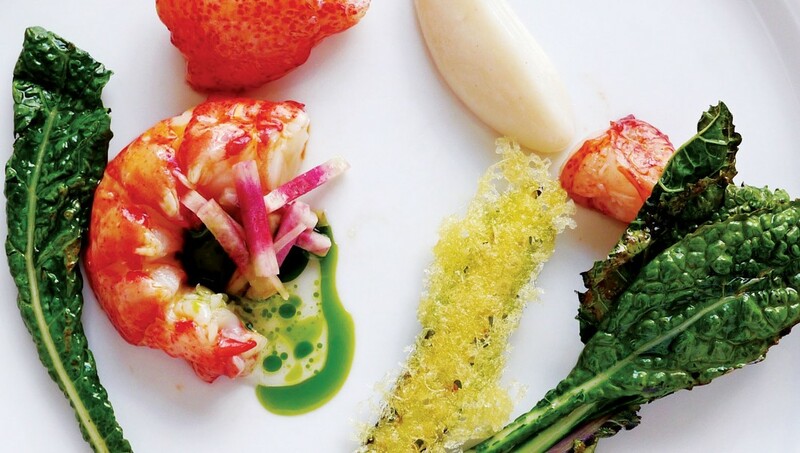 The restaurants aim to use more than 90% local ingredients, with menus that change daily and reflect the season. Signature offerings include “snout-to-tail” lamb from the Big Island’s Kahua Ranch and wok-charred ahi tuna. 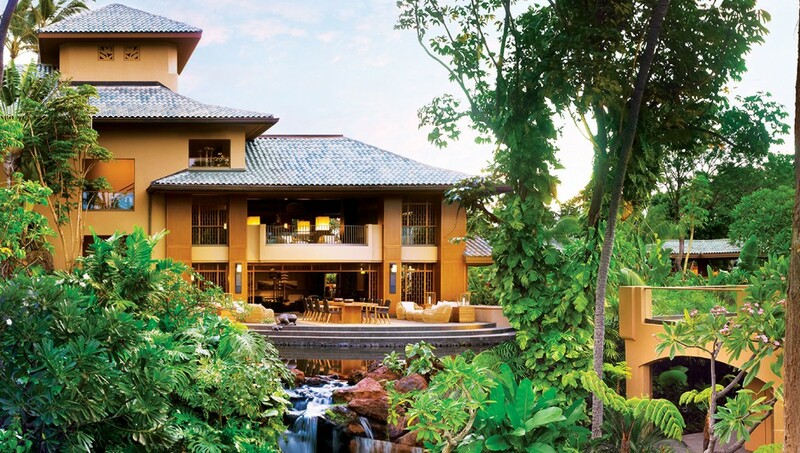 Discerning jet setters loyal to the renowned Four Seasons brand flock to four of Hawaii’s highest-rated resorts, where a common culinary thread is a strong emphasis on local ingredients. Four Seasons Resort Lanai offers exceptionally stunning views – Bill Gates got married on the golf course in 1994 – along with a strong dining programme that supports more than 100 local farmers and fishermen. 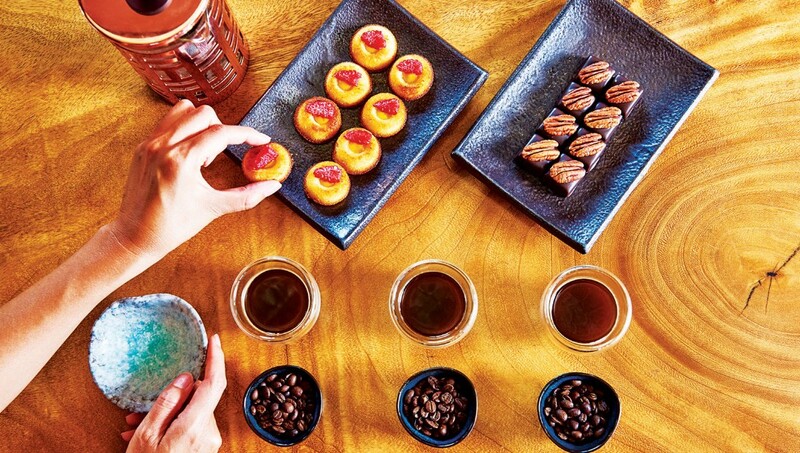 On the Big Island, Four Seasons Resort Hualalai serves as one of the best places to enjoy the island’s famous coffee. Guests can also venture off-resort to visit a working coffee farm followed by an expert-led coffee tasting and pastry pairing. The resort’s culinary team takes a hyper-local approach to their menus, with 95% of ingredients sourced in-state (including 75% from the island). Four Seasons Resort Maui and Four Seasons Resort Oahu at Ko Olina, the brand’s newest Hawaiian location, both mirror the other resorts by utilising local products whenever possible. Set in the heart of Waikiki Beach, the minimalist chic Halekulani (www. 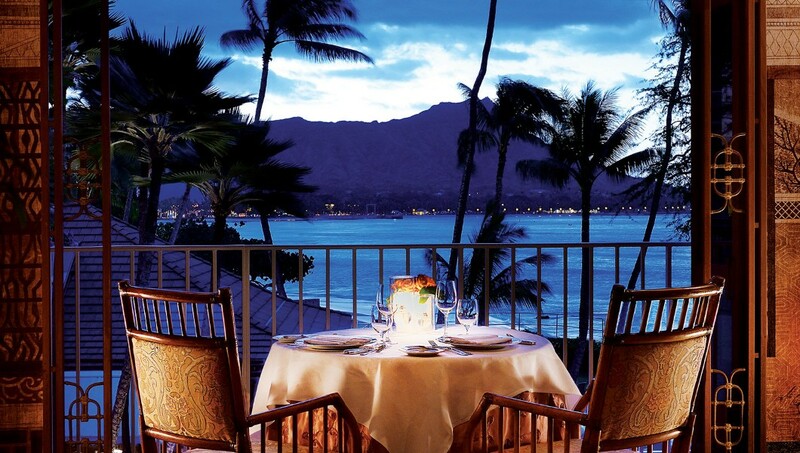 halekulani.com) offers numerous award-winning dining and drinking destinations. House Without A Key is an iconic option for a sunset Mai Tai cocktail while watching former Miss Hawaiis perform traditional hula dances, while La Mer incorporates local ingredients into its pricey menus of French haute cuisine. Once satiated, patrons cap off the night with an expertly-made cocktail and nightly live jazz at the classy Lewers Lounge. For a step back in time, culinarily speaking, look no further than Maui’s Ka’anapali Beach Hotel (www.kbhmaui.com). The oceanfront property, which offers a classic Hawaiian atmosphere and bills itself as “Hawaii’s most Hawaiian hotel,” has served as a family retreat for generations of its loyal clientele. Chef Tom Muromoto oversees the resort’s culinary programme, including the casual, breezy Tiki Terrace restaurant, where curious diners can learn about the islands’ roots by ordering the healthful “Native Hawaiian” menu. Mostly eschewing salt in favour of the chef’s unique blend of herbs and spices, dishes include ogo (seaweed) mixed with Maui onions and tomato; laulau chicken or fish (steamed in in taro leaves with fresh natural flavours); and grilled bananas with kalo (taro), sweet purple potatoes, papayas and homemade poi. The menu notes that long ago, native Hawaiians consumed very little fat, with conditions such as diabetes, heart disease and obesity almost non-existent. 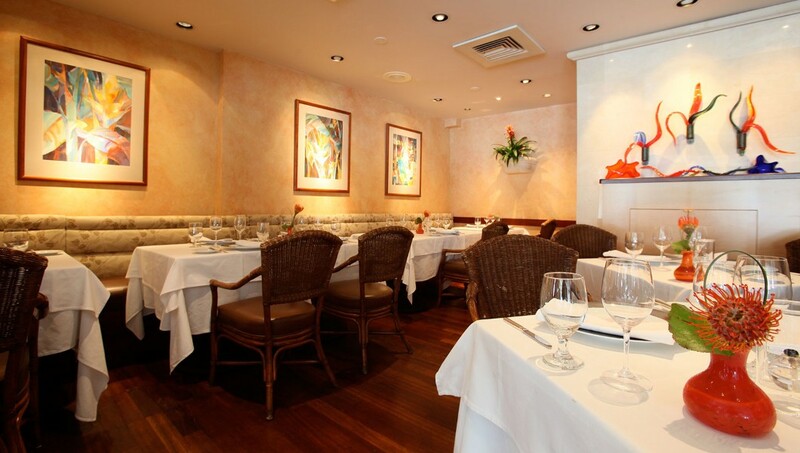 Waikiki’s International Market Place – perhaps the state’s most famous shopping address – offers a pair of different concepts from Chef Michael Mina, whose culinary empire includes Mina Brasserie in Dubai. For fine dining, there’s an outpost of his Stripsteak restaurant (www.stripsteakwaikiki.com), which thrills carnivorous diners looking for a big-ticket experience. One of the most sinful (and pricey) menu options is a savoury pot pie made with Hamakua mushrooms and Kona lobster (both from the Big Island), plus black truffle. Busy shoppers looking for a faster, more casual option fill The Street Food Hall, by Michael Mina (www.michaelmina.net). This varied collection of culinary experiences has been carefully curated by Mina, with myriad Hawaiian dishes and ingredients on offer. Open daily from morning through night, the 6,900-square foot venue features a dozen different concepts including International Smoke, a collaboration between Mina and Ayesha Curry (wife of NBA superstar Stephen Curry) that utilises authentic cooking traditions to explore how different cultures use fire, grilling, and smoke around the world. With Morimoto Asia (www.morimotoasiawaikiki.com) and Morimoto Maui (www.morimotomaui.com), Iron Chef Masaharu Morimoto has a firm foothold in the state’s two most visited islands. 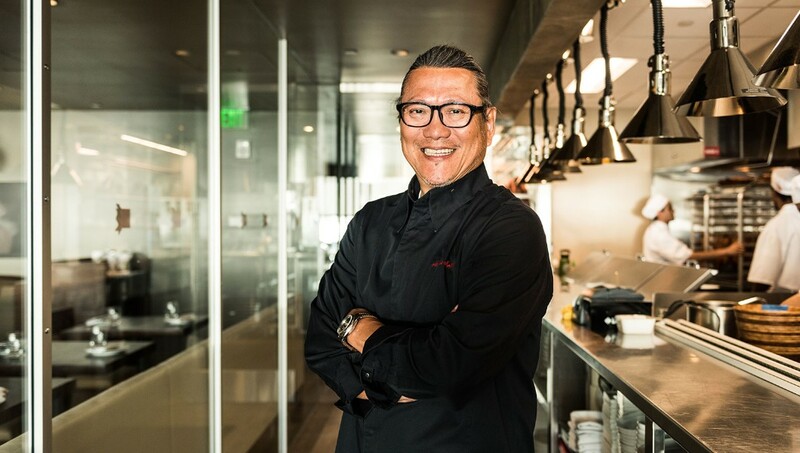 “I absolutely love Hawaii and Waikiki Beach, in particular, has a special place in my heart,” says Morimoto. “We pay homage to Hawaii as much as we can by relying on local purveyors for a selection of our fish and produce.” Both locations offer ocean views, though most diners stay fixated on their plates of delicate sushi and innovative fusion fare. Ed Kenney, the son of a Broadway performer and hula dancer, has become one of Hawaii’s most decorated chefs thanks to a growing culinary empire in his hometown of Honolulu. Kenney serves local, organic ingredients with aplomb at his restaurants Town (www.townkaimuki.com), Mud Hen Water (www.mudhenwater.com), Kaimuki Superette (www.kaimukisuperette.com), and Mahina & Sun’s (www.mahinaandsuns.com). A board member of various local culinary, agricultural, and educational programmes, Kenney is committed to supporting local farms while showcasing traditional Hawaiian “canoe crops” such as kalo and ‘ulu (breadfruit) on his menus. Visitors hungry for an immersive culinary education in all things Hawaiian should circle the Hawaii Food & Wine Festival (www.hawaiifoodandwinefestival.com) on their calendars. The eighth annual edition of the “premier epicurean destination event in the Pacific” will take place Oct. 6-28, 2018. Centred on Oahu, with additional events on Maui and the Big Island, the festival welcomes more than 100 chefs, culinary personalities, and wine and spirit producers from near and far. A strong emphasis on local ingredients permeates the festival, giving curious types an opportunity to appreciate what makes the islands such a special place to dine. “We ask every chef to use a locally-grown, -raised or -caught produce, to highlight the great products we have here in our islands,” explains Denise Yamaguchi, the festival’s CEO. Promising “a world-class event held in a world-class destination hosted by world-class chefs,” Yamaguchi notes how “increased media exposure to Hawaii’s culinary scene has helped the tourism industry by reminding visitors that beyond Hawaii’s natural beauty and culture, there are some of the most innovative and amazing places to dine in our islands.” Even if you can’t time your visit to coincide with the festival, you can enjoy incredible local ingredients prepared with style by personable, award-winning chefs year-round. The biggest challenge will be prying yourself away from the beach, and letting go of your diet goals - you can work on your “beach bod” when you return home.